Scientific management theory also known as Taylorism was given by Frederick Winslow Taylor. Taylorism is a theory of management that emphasizes on improving economic efficiency especially labour productivity. Scientific management theory or Taylorism has contributed to business practices and also establish various organizational and management theories (Bell & Martin, 2012). Scientific management approach presented by F.W. Taylor has suggested principles which are useful for business practices. Science, not rule of thum – Organizations should not follow old technique and should make necessary changes on regular basis. In order to improve efficiency and productivity new techniques should be implemented at workplace or manufacturing facility. Harmony, not discord – Taylor insisted that workers and management should work together and avoid any kind of conflict. Both groups should work with mutual cooperation and develop positive attitude towards each other. Taylor states both workers and management should avoid discord and work with each other in harmony. Cooperation, not individualism – Taylor suggested that there should be proper division of work and responsibility between managers and workers. This principle states that work should be done with mutual confidence and cooperation. Both managers and workers should cooperate with each other. Organizations cannot achieve goals and objectives if they focus on individualism. Growth of individuals while considering their prosperity and efficiency – As per this statement, managers or supervisors could allot work to workers on the basis of their ability and interest. Organizations need to provide training to workers to improve efficiency and productivity (Rehmann, 2014). Ford is motor company founded by Henry Ford. Taylorism was used by Ford Motor Company to assemble a car in assembly line. Ford observed Taylor’s scientific management theory and began to incorporate it into his production techniques. Ford adopted Taylor’s principle to reach maximum production level. Ford introduced Taylorism theory at car manufacturing facility unit. For example, the body of cars would move through individual workstation and workers would remain stationary in an assembly line during the assembly stage of cars, this strategy was implemented by Ford. Ford Motor Company’s productivity was increased by suing assembly line automated technique. Ford Motor Company’s founder Henry ford has used principles of scientific management theory and hence produce more cars at affordable rates. Taylorism concept played a vital important role in developing strategies for Ford Motor Company. In order to improve efficiency and productivity of manufacturing plant it is important to motivate workers regularly, provide them essential trainings and treat workers as valuable asset. Hence Ford recognised benefits of Taylorism and implements it into his production techniques. For example, employees were motivated by Ford Motor Company by providing attractive salary. The principle of rewarding the employees for their hard and honest work was started by company. The productivity of Ford Motor Company was increased after adopting scientific management theory. Managers and workers should work together, avoid any kind of conflict and try to take all decisions with mutual cooperation. Ford always encouraged both managers and workers to avoid division and asked them to work together in a team. Hence Taylorism principles are very effective and played significant role in development and growth of Ford Motor Company (Degan, 2011). Employee retention – Organizations that follows good corporate culture and values their workers for their contribution to business, employees also show positive attitude toward the organization. Employee turnover would reduce when workers are loyal to organization. Therefore a healthy corporate culture can reduce human resource costs and help company to retain valuable employees. Reputation – Effective corporate culture strategy helps organizations to gain a positive reputation among potential workers. For example, Facebook is a company that focus on teamwork and open communication and also the CEO of Facebook has been working in open office space alongside other employees. Employees work efficiency may depend on corporate culture, companies should develop effective work culture to motivate employees (Klein, 2011). Productivity – The productivity of company would increase when the morale of employees improved with a healthy corporate culture. The financial condition of organization improved and profit increases when workers increase productivity. Corporate culture strategy can encourage growth, ethical behaviour, customer satisfaction and innovation. For long term success, organizations should follow effective corporate culture strategy. Quality – Healthy corporate culture motivates employees to deliver quality services and products. It is very important for organization to develop effective corporate strategies because corporate affects efficiency and productivity of employees. If employees would be happy then they will perform their duties honestly. Therefore healthy corporate culture strategies increases workers efficiency and also encourage them to deliver quality products and services. Corporate culture strategy is very important. For example, hours worked per week or day, how employees interact with each other in workplace, how they dress for work, availability of options such as telecommuting and flexible working hours, training and development programs, benefits offered to employees, office space, etc. are related to corporate culture strategy. Multinational organizations such as Google, Facebook and Microsoft Corporation have developed good corporate culture strategy. Organizations work in different locations has to adopt different corporate culture strategy because each country has its own unique culture. Hence the attitudes and values of employees in the organization or business are important things which should be focused (Guiso, et. al., 2015). The introduction of new strategies, concepts or reinvention of business itself is known BMI. Business model innovation primary goal is to realize new revenue sources by improving product value and how products are delivered to customers. Business model innovation (BMI) generally refers to reinvention or creation of business itself, BMI not only focuses on creating new markets or delivering new technologies but it emphasizes on overall organizational growth and development. Organizations can solve business related problems; evaluate current market and product value with the help of business model innovation (Massa & Tucci, 2013). For example, Apple, which is an American multinational technology company has successfully innovate its business model. Apple has reinvented its products and services by introducing ITunes, IPhones and IPods in market. Apple has faced tough competition when ITunes was introduced in market, the main purpose of ITunes was to sell IPod this shows Apple’s innovative strategy. Apple’s business model innovation has contributed a lot to growth at international market. Hence business model innovation has reshaped Apple’s business activities. On the basis of Apple’s innovative strategies it is concluded that business model innovation is all about delivering exiting products that are produced by existing technologies to exiting markets. Industry model innovation – It refers to reinvent business model and enter into other industry sectors. Organizations nowadays want to expand their business activities at both national and international level so they need innovations and technology to deliver quality products and services to customers. Multinational national Corporations such as Apple have changed its business model to develop the products range. Revenue model innovation – Revenue model is the main component of business model. Revenue model identifies what service or product will be created to generate revenue and also the ways in which products or services will be sold. Organizations have developed various strategies and techniques to generate more revenue; therefore they should focus on revenue model innovation (Zott, et. al., 2011). Enterprise model innovation – Organizations business activities involves various functions and operations such as marketing, purchasing, manufacturing, financing, research and development. Enterprise model innovation is related to reinvent organizations functions and operations. Organizations can improve their financi al conditions by changing business model according to need and demand of market. Hence BMI is a combination of changes that an organization makes around the revenue, industry and enterprise model. All these three elements of business model are unique and discrete, they may be interrelated. Business model innovation (BMI) begins by evaluating organizations current market position, need of its customers and model of its competitors. Organizations should build a platform for systematically managing the business model innovation process (Chesbrough, 2010). Business model innovation can bring various different changes to business model adopted by organizations and these changes can be proactive or forced by competitors. The CAGE framework developed by Pankaj Ghemawat, focus on significant factors that affect business relations between two countries or more countries. According to this framework, cultural, administrative, geographic and economic distances can affect trade relations. All these dimensions plays important role to build business relations with other countries. As per this framework, it is difficult to enter the market when two or more countries differ across cultural, administrative, geographic and economic dimensions. On the other hand similarities between two or more countries across these dimensions would enable companies to develop potential trade relations. Ghemawat focuses that CAGE framework is varies from industry to industry. For example, companies dealing in transportation of products would be affected by geographical distance. On the other hand cultural distance would affect companies which deal in fashion industry, fast food industry and other consumer goods (Ghemawat, 2013). Cultural distance – this dimension involves different language, religious beliefs and values, different ethnicity, etc. Administrative distance – It includes Government rules and legislations, lack of common currency, different corporate laws, etc. Geographic distance – It involves physical distance between borders of two nation, region or state, difference in time zones, climate, etc. Economic distance – It includes financial resources, human resource management, infrastructure, living standard of people, etc. Multinational Corporations used CAGE framework for their global strategy and entering foreign market. It is a useful tool for organizations which will be looking to develop international strategies. CAGE framework helps organizations to identify specific market because this framework focuses on various dimensions such as economic, geographic, administrative and cultural. Organization identified – Google, which is an American multinational corporation, where the effect of Ghemawat’s CAGE framework can be analysed. When Google has started its business activities in China and Russia, the company has faced lots of problems due to underdeveloped payment infrastructure, government rules and regulations. As compared to America, China has different political and administrative framework. Chinese government has controlled the whole internet surfing, government urge people to use local search engine. Wal-Mart, also an American multinational retail corporation, faced problems when they invested in Chinese and Mexican market. China’s cultural difference and Mexico’s economic instability has affected Wal-Mart’s business activities. Wal-Mart’s business hampers in China because Chinese people purchase things from local market. Both Google and Wal-Mart decided to follow host country’s rules and regulations to carry out their business activities. Wal-Mart has hired Chinese professionals because local employees have more knowledge about market and they can help Wal-Mart to develop effective strategies (Dickerson & Pore, 2014). CAGE framework helps organizations to identify and assess the impact of distance on various businesses. Countries which have similarity on the CAGE framework dimensions can develop healthy trade relations. For example, India, Pakistan and China are geographically connected to each other so they can develop effective and strong trade relations. The CAGE framework can also be effective to assess the barriers and risks to different international markets. It is also very significant to compare the chances of different countries in foreign market. Ghemawat’s CAGE framework may help organizations to develop international business strategies (Campbell, et. al., 2012). The dimensions mentioned are very important and should be considered to develop international trade. Bell, R. L., & Martin, J. S. (2012). 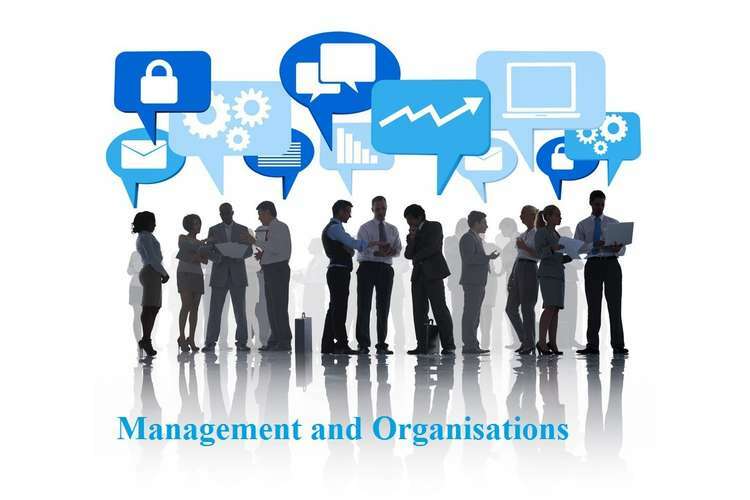 The relevance of scientific management and equity theory in everyday managerial communication situations. Journal of Management Policy and Practice, 13(3). Degan, R. (2011). Fordism and Taylorism are responsible for the early success and recent decline of the US motor vehicle industry (No. 81). Rehmann, J. (2014). Taylorism and Fordism in the Stockyards. In Max Weber: Modernisation as Passive Revolution (pp. 24-29). Brill. Linnenluecke, M. K., & Griffiths, A. (2010). Corporate sustainability and organizational culture. Journal of world business, 45(4), 357-366. Klein, A. (2011). Corporate culture: its value as a resource for competitive advantage. Journal of Business Strategy, 32(2), 21-28. Massa, L., & Tucci, C. L. (2013). Business model innovation. The Oxford Handbook of Innovafion Management, 420-441. Chesbrough, H. (2010). Business model innovation: opportunities and barriers. Long range planning, 43(2), 354-363.